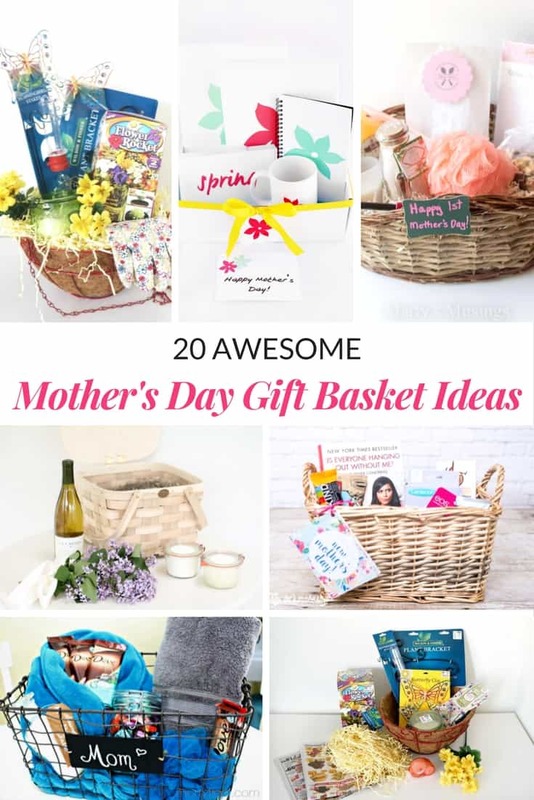 Mother’s Day gift ideas for mom, Grandma, sisters, mothers-in-law and other special women in your life can be hard to come up with. Chocolates and flowers are great gift ideas for mom, but sometimes you want to gift your mom with something special. You want to give a meaningful Mother’s Day gift that the woman you are celebrating will love and cherish. 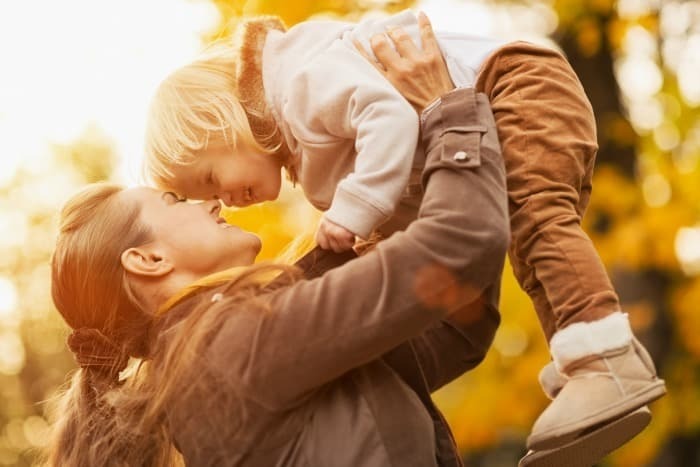 From personalized jewelry to clothing items, household treasures, we’ve got you covered with over 50 Mother’s Day Gift Ideas for every woman in your life! Mom will become a master chef and continue to impress guests with these foolproof recipes! This vintage style bronze jewelry tree is the perfect place for mom to hang her necklaces so that they are not tangled and ready to go when she wants to wear them. Gleurps slippers are a favorite at Mommy Moment! Made from 100% pure wool, Gleurps will keep Mom’s feet toasty warm. This Mama Bear necklace can be personalized for the number of children the mom in your life has. With Mama Bear at the front, 1, 2 or 10 baby bears can follow behind. Give mom this personalized tablet holder to allow her to cook with all her favorite recipes pinned on Pinterest on her tablet. This way she can see the recipe at a glance as the tablet will be vertical not lying down. Bring back a touch of retro with these mason jar ceramic measuring spoons. Add a cheerful vibe to mom’s kitchen with these dishwasher-safe vintage measuring spoons. Chip and Joanna Gaines are HGTV’s it couple! Mom will enjoy reading about Chip and Joanna’s first renovation, and how they came to star on the hit TV show Fixer Upper. In case you haven’t told your mom in a while, why not get her this 18k gold plated Mother’s Day bracelet letting her know you’ve got the world’s BEST mom! If your mom likes to have a glass of wine after a long day, this is the gift for her. These stemless wine glasses have whimsical etched designs that mom is sure to love. This handmade macrame hanging planter will look great in mom’s house! Why not include her favorite plant to go with it? This bright, white kitchen towel features a wreath monogram with a letter. These towels are 100% microfibre so they are super absorbent and easy to wash and dry. For the mom who loves jewelry and is into fashion, why not get her a Kate Spade Watch? The beautiful leather band and gold accents will be the perfect match for all of mom’s outfits. This rose gold stainless steel travel mug is perfect for moms on the go. This trendy travel mug can house mom’s coffee or tea as she’s running from drop off to pick up. This kettle is easy to use and boasts a compact design, perfect for sitting on mom’s kitchen counter. This electric kettle is available in Brushed Steel, Empire Red, Onyx Black, Pistachio, and Twilight Blue. This beautiful gold monogrammed makeup case is great for moms who travel or love to have an emergency makeup kit in their bag. Treat mom to a classic! This Michael Kors handbag has a spacious, streamlined shape with inside pockets to hold all of mom’s much-needed items. Beautify mom’s kitchen counter with this mason jar kitchen set. This set is designed to hold utensils that are used often or do not fit in kitchen drawers. If your mom loves to write and journal, this beautiful floral covered journal is the perfect gift idea. Alternately, she can use this beautiful journal as a place to house her to-do list or use it as a sketchbook. Whether your mom loves cold wine or iced coffee, the Hyper Chiller is for her. In 60 seconds, mom can chill a cup of coffee, tea or glass of wine! Make mom feel like a queen in this luxury robe. Perfect for lounging around the house or warming up after a shower, mom will love this exquisite comfortable robe. For the mom who loves to garden, these colorful, breathable, lightweight gardening gloves are a must! These gloves allow mom to work in her garden without worrying about getting dirt under her fingernails or getting blisters on her palms. Beautiful cookies will be the result of this gift! This 100% wood rolling pin, embossed with a beautiful design will take mom’s cookies up to the next level. To help mom relax, why not buy her an intricate coloring book. This coloring book features swirl style illustrations portraying different animals and floral designs. Mom will go out in style with these Rose Gold Leaf Earrings. These pretty, handmade rose gold earrings are the perfect accompaniment to any outfit. Help mom get those photos off of her phone and onto her fridge or into a photo album. This photo printer, prints photos right from your phone in seconds! Mom will never lose her keys again with the stylish Tile Style. Tile Style is waterproof and can keep up with mom’s busy lifestyle. Made of stainless steel and BPA free, this double-walled bottle keeps your cold beverages cold for 24 hours. Because of the double wall technology, mom doesn’t need to worry about condensation getting into her purse or bag. This birthstone tree pendant makes a great Mother’s Day gift idea. This gorgeous tree can boast up to 12 birthstones to represent all the favorite people in your life. Lug is a great bag for moms on the go. Available in a multitude of colors and styles, mom will always have the perfect bag for every situation. Lug bags are wipeable for all the messes life throws at you. On those rare occasions that mom gets a few minutes to herself in the bath, this wood bath tray would be the perfect companion. Mom can prop up her tablet and have a glass of her favorite beverage nearby. Give mom a laugh with this funny Mother’s Day coffee mug! Dishwasher and microwave safe, this coffee mug is the perfect size for mom’s morning brew. This beautiful handmade apron is the perfect gift for the woman who loves to be in the kitchen. Ceramic knitting bowls are a great gift idea for the crocheter in your life. These knitting bowls allow mom to keep her yarn all together and keeps the tangles away. Keep mom warm with a super soft Sherpa fleece blanket. Perfect for lounging on the couch or reading in bed. A nourishing lip balm is a great gift idea for mom to throw into her purse to have on hand 24/7. These “If you can read this, bring me coffee” pair of socks is a great gift idea for the mom who has everything! This unique basket filled with pieces of 100% pure Himalayan Rock Salt Crystals will look great on mom’s desk or side table. A chunky knit blanket is a staple home decor piece every mom should have. Not only does it look great draped across a chair or couch, but made with 100% merino wool, this blanket will keep mom warm on cold winter evenings. If your mom likes to express herself through quotes, a letter board is a great gift. Every board comes with a set of 286 letters and characters. Does your mom spend all day on her feet? The roller of this wooden foot massager fit perfectly into the curves of your feet and apply pressure to the important areas of your tender tootsies to relieve stress. This high-quality hand sculpted stepping stone can be used outdoors in mom’s garden or hung on the wall as a decorative wall hanging in your home or office. Give mom the gift of a good night’s sleep in these cool stain pajamas. Mom will be able to lounge around the house or take this PJ set along on overnight trips. This minimalist coin necklace is the perfect piece of jewelry to wear every day. Add more coins if you’d like to have a personalized coin for each member of the family. There are many different types of tea subscription boxes online. If your mom loves to sit down with a cup of tea, order one for her today! If wine is more mom’s beverage of choice, find a wine of the month club that will send mom a new wine to try every 30 days. If mom likes to express herself by wearing different kinds of jewelry, you can order her a jewelry subscription box that will send unique pieces to her to add to her outfits. Head to your local craft store and sign her up for craft classes, or head to a pottery painting place together. If you go together, the gift will be that much more special. Moms can get overloaded with all the daily tasks and running the kids back and forth from school to after-school activities. Find a professional home cleaning service in your town and surprise her with a free cleaning. Give your mom the morning off and make her brunch to share or breakfast in bed. Pamper mom with an at-home spa day. Buy some nail polish, and make your own bath salts to pamper mom on a day meant for her. Many people feel that a gift card is a “cop-out” when it comes to gifting. But if your mom lives far away, or has had her eye on trying out a new restaurant, a gift card may be the perfect gift idea. What do you plan to get for Mom for Mother’s Day? Do you have any other Mother’s Day gift ideas you have come up with?